Mix the ginger, garlic, soy sauce, maple syrup and mirin. Place the salmon into an ovenproof dish, season with salt and pepper and pour over the dressing. Cover with foil and set aside to marinate for 20 mins. Place in oven for 25 mins. When cooked remove from oven an set aside. Place noodles in boiling water cook for 4 mins (as per packet). When cooked drain. Heat wok with 1 tbsp oil stir-fry carrots, leek and cabbage for a few minutes. Add noodles and the remainder of the marinade from salmon, stir through. 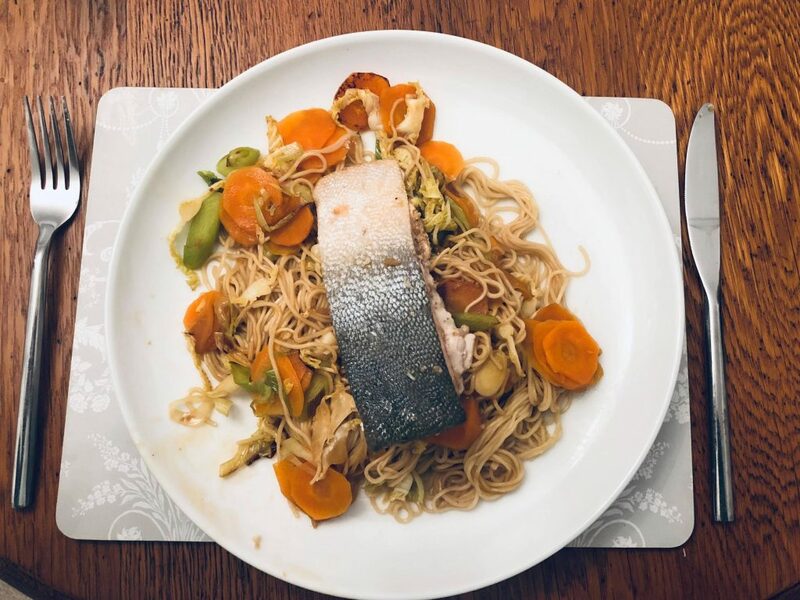 Serve salmon on top of stir-fried noodles.